Tracy Hutchinson, P.E. joins the firm as Project Manager in the firm’s Civil Engineering Department in its Holland, MI office. Ms. Hutchinson graduated from Michigan State University with a Bachelor of Science Degree in Civil Engineering. She has 20+ years of experience working on and managing commercial and residential site development along with municipal infrastructure projects throughout Western Michigan. 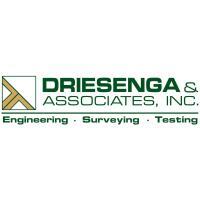 Driesenga & Associates, Inc. provides civil engineering, surveying, environmental engineering, geotechnical engineering and construction materials testing and inspection services throughout Michigan.